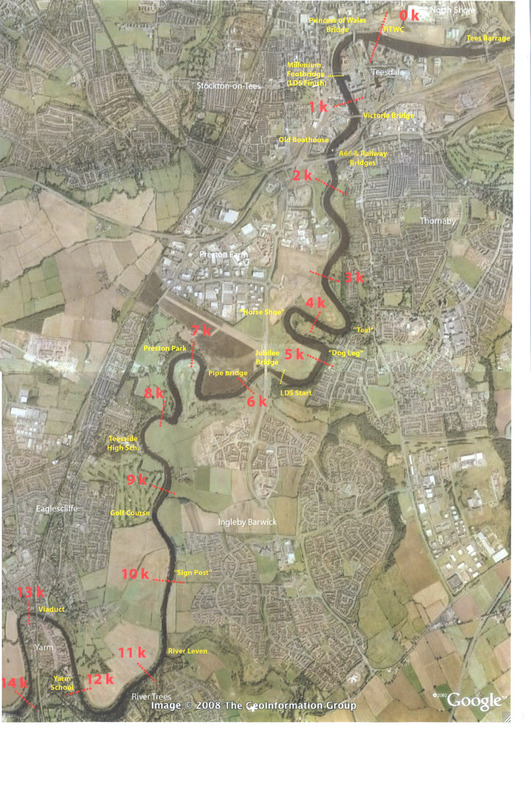 This was an event for stable coxed boats on a 24 km rowing tour on the River Tees, leaving from Tees RC and going upstream to Yarm (and back). 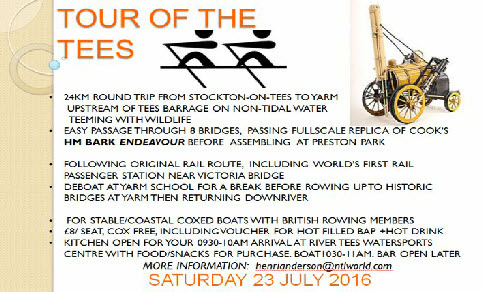 The cost was £8 per seat (coxes free) and included a food and drink voucher. All participants had to be British Rowing members and be 18+. Enquiries and entries to John Anderson at Tees RC at henrianderson@ntlworld.com. Deadline for entries was end of play on 16 July 2016.